AQ-IQ.com brings Smart Revenue to the table. Today’s healthcare providers need advocates, not to teach you how to perform medical interventions, but to teach you (and your staff) how to be appropriately reimbursed for the services you perform and to defend that reimbursement from potential recoupment. Simply put: Americans pay more for healthcare delivery than other countries. All our payers are eagerly searching for ways to reduce their expenditures. Payer audits are becoming more and more frequent and the results of those audits can be fiscal harm to the provider. Is there anyone who understands the depth of detail that auditors are seeking in your charts and can help you develop bulletproof documentation, coding and billing? Many consultants can do this for you – for a fee. That’s just one more expense for you. Content that is pre-selected, reviewed and approved by auditors and available 24/7. Auditor-designed tools for improving documentation and for auditing your own records. Regular scheduled training events delivered in a web-conference setting so staff can remain on-site while learning new skills and validating and improving old ones. Expert researchers and auditors to answer your toughest questions. Email tips on defending revenue. AQ-IQ is committed to providing accurate and authoritative information on all researched subject matter. Every reasonable effort has been made to ensure the accuracy of the information within these eCourses. However, the ultimate responsibility for accuracy lies with the provider of services. 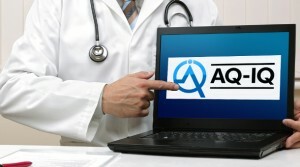 AQ-IQ, its employees, agents, and staff make no representation, guarantee, or warranty, expressed or implied that these eCourses are error-free or that the use of this information will prevent differences of opinion or disputes with Medicare or other third-party payers, and will bear no responsibility or liability for the results or consequences of its use. Get access to the complete AQ-IQ eLibrary, including over 90 eCourses — growing monthly. eCourse library accessible 24/7 covering medical documentation, coding and billing and adding ICD-10 content every month. Doc Genie TMhelps you create accurate specific clinical documentation for appropriate admission, payment, medical necessity and core measures. (valued at $897 per year). Doc Genie is a diagnosis driven web-based tool for physicians and clinical staff. Doc Genie tells physician just what they want to know—WHAT TO SAY about each diagnosis to stop those pesky queries and provide the truest picture of each patient’s severity of illness thereby supporting the intensity level of the services provided and billed. 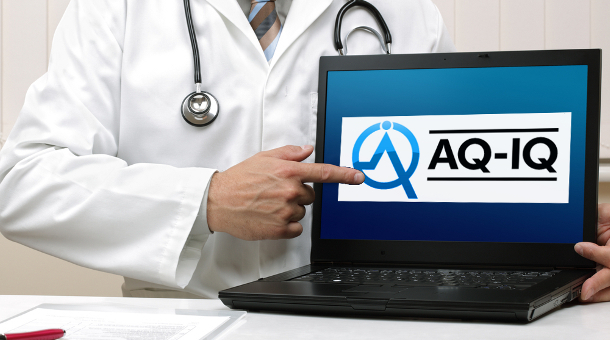 The AQ-IQ Injections and Infusions Tool aids nurses and coders alike to appropriately capture and defend these services in the Emergency Department or in an outpatient setting. The AQ-IQ Pneumonia Tool assists Documentation Specialists and CDI in making decisions about pneumonia. Ask up to three (3) questions each month of our Experts. Purchase of these components outside of a subscription could be as much as $17,000 per year per user. Your organizational subscription covers all* content for 1 low price and includes as many users as you like! *Printed materials are discounted for annual subscribers.